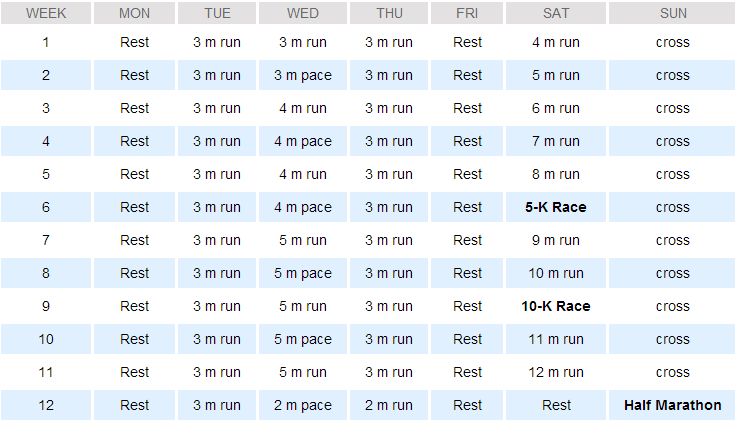 Well, Derek and I are over half way done with our Half Marathon training! We completed our 10 Mile run this past Saturday, and man was it a good run! The weather was perfect for running outside (sad when we think that 33 degrees is lovely) the sun was shining, and I was just happy to be out running! Derek and I ended up running clear down to Lake Calhoun and around Lake of the Isles! There were a ton of people out enjoying the day Saturday! I love seeing so many people out in the winter time being active! It is one of my favorite things about Minneapolis - People in Minnesota just don't hibernate in the winter! Love it! The half marathon Derek and I are running is not till May, but we have a 7K coming up in March! We also plan on back tracking in our half training and incorporating a little speed work! Below are a few articles I found regarding how to incorporate speed work into your training. As well as some articles on what you should eat before and after a run! Hope you enjoy!